Blooms bring joy to your world.. Slow to grow, bears the best fruit! An art of growing trees in a confined space. Plant loves it.. Produces healthy food.. 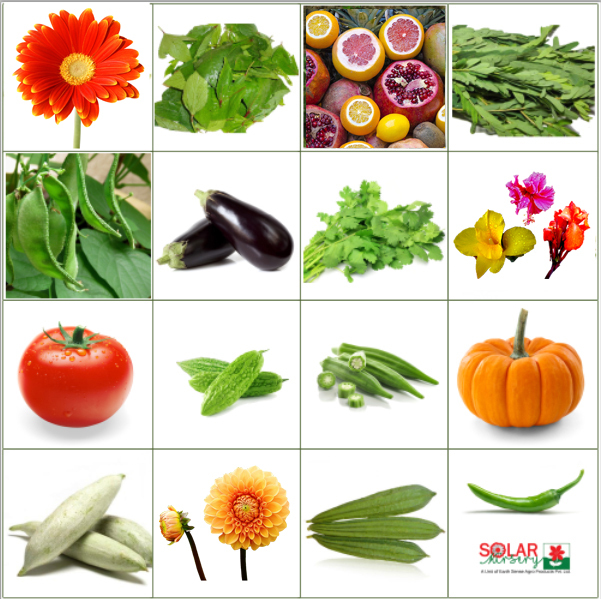 SOLAR NURSERY was originally incorporated in 1984 as a small nursery with limited varieties of plants catering domestic growers and retail customers. 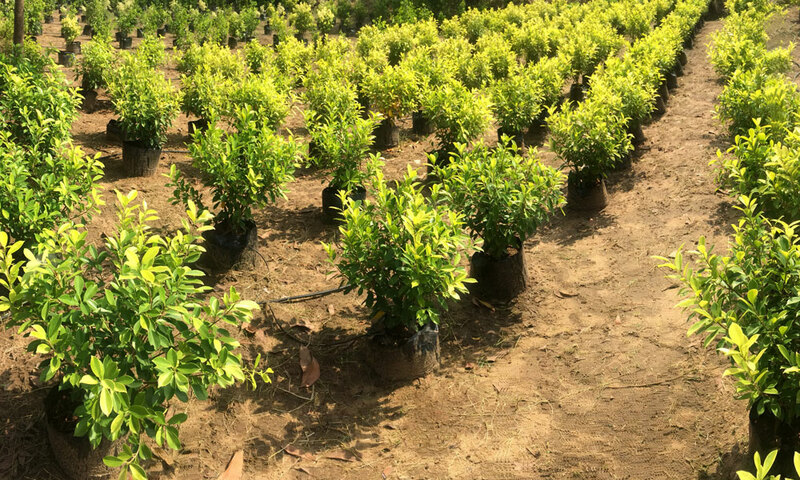 Our company gradually expanded volved and responded to our customers' demand of quality nursery plants and products. 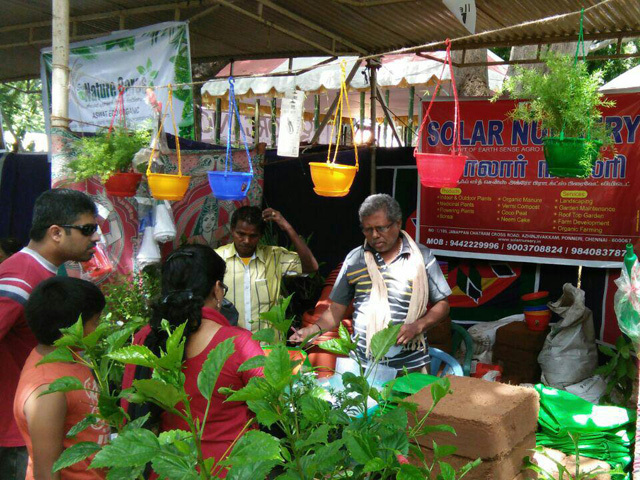 We at Solar nursery, believe that nothing can top the joy of gardening and aim at bringing beautiful serenity of the entire Nature zone.We can provide you with enitre range of indoor, outdoor, bonsai, flowering, herbal, water plants and fruit trees . 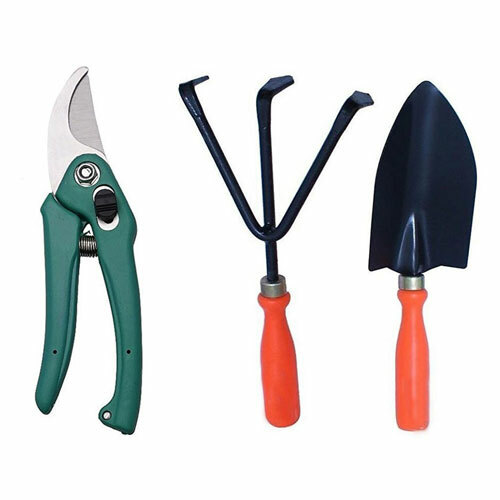 Whether it is simply ornamental or something that you want to grow and cherish, we are your one stop shop for all your gardening related needs. 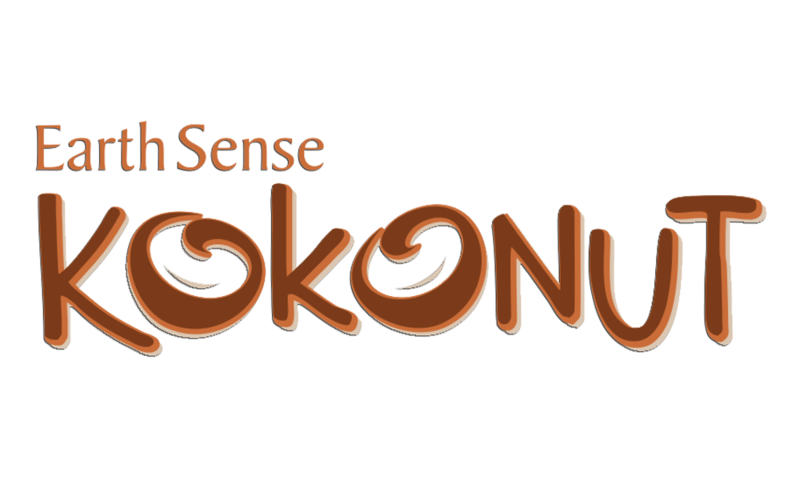 Our environment is constantly facing challenges on maintaining a healthy and wealthy surrounding. 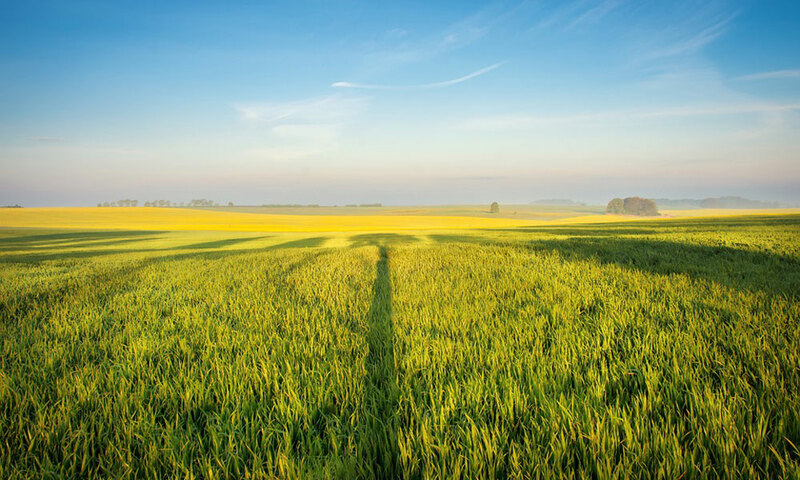 The depletion of earth's natural resources leads to drastic climate change, We at Solar Nursery, working to an organic and sustainable future. 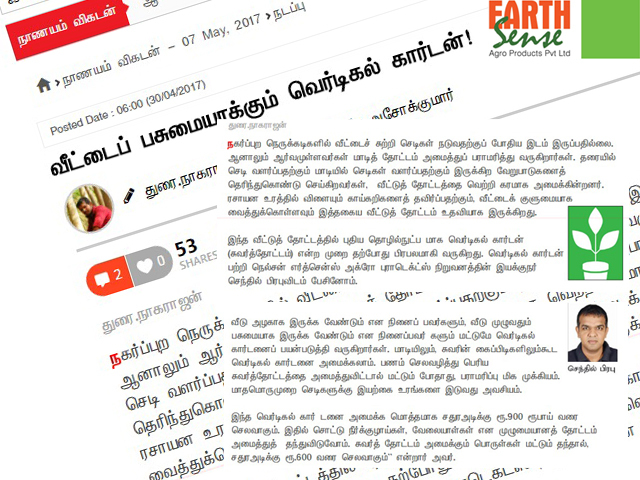 To preserve essential ecoystem and to provide well being for future generations, we speicalise in producing organic growing medium, composting and propogation of plants. We are using the full potential of our farm land with innovation and adapting to eco friendly methods. We are dealing with many products, servicing our customers with different areas but our vision is to provide a healthy tomorrow; we have a spread our drive to make the most of our natural resources, to help make life better everyday for our customers, society and our country. Want to grow your own vegetables but dont have much space and know how to start with? 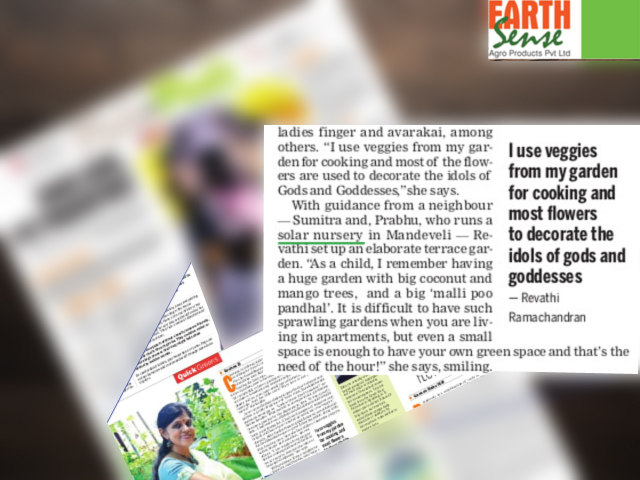 Solar Nursery, the pioneer of terrace gardening, will educate you the growing methodolgy. The right proportion of the media, what vegetables to grow, how to take good care of them and to get a consistent yield. Apart growing vegetables we can also help customers to grow fruit bearing trees like custord apple, pomogrante, lemon, organce, sapota, pine apple, guava, banana, etc. 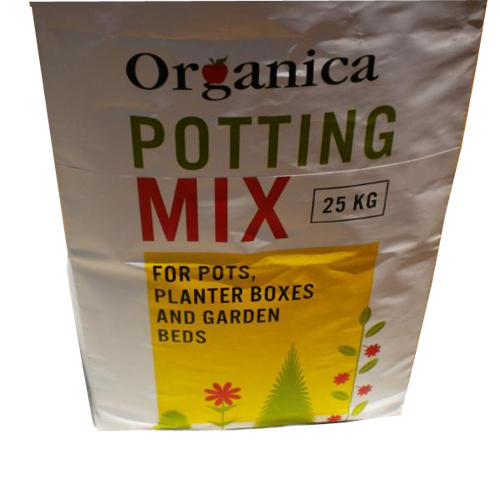 From seeds to pots/bags and soil mix, compost, coco peat, bio fertlizer, we produce all the necessary resources for terrace gardening. Passionate about gardening? So we are! Gardening is the practice of growing and cultivating plants as part of horticulture. 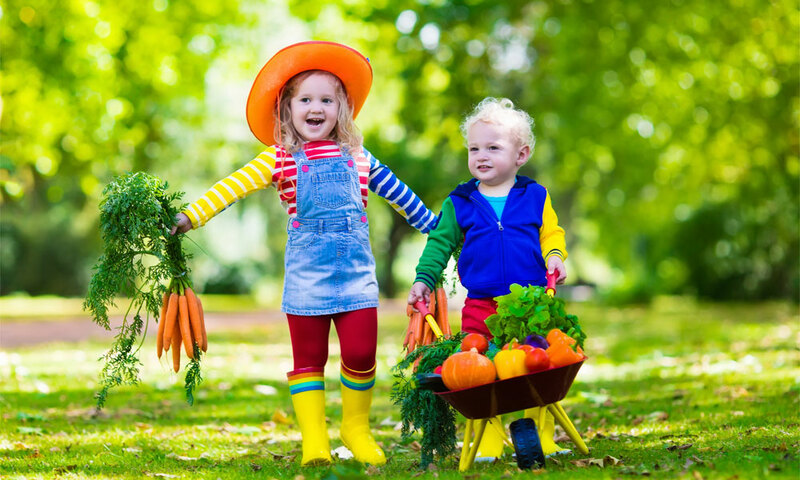 In gardens, ornamental plants are often grown for their flowers, foliage, or overall appearance; useful plants, such as root vegetables, leaf vegetables, fruits, and herbs, are grown for consumption, for medicinal or cosmetic use. Solar Nursery, one of the biggest nursery grower produces, propogates, develops, and grows plants for your farm, office, home and life, Indoors and outdoors, fuits and flowering, bonsai, medicinal,. We're are wholeslae and retail seller having tremdous experience in landscapping, gardening inputs for plant and Organic farming. Our products, services will help you beautify your living spaces and enhance your life. 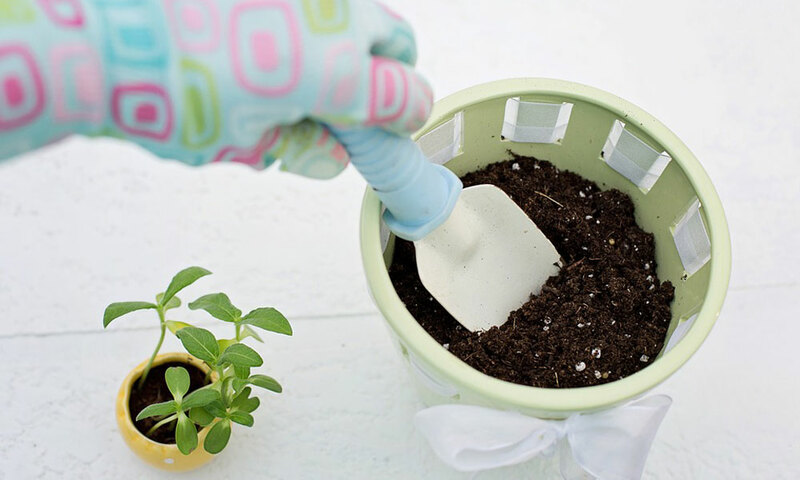 Gardening is considered by many people to be a relaxing activity. Growing media are materials that plants grow in. 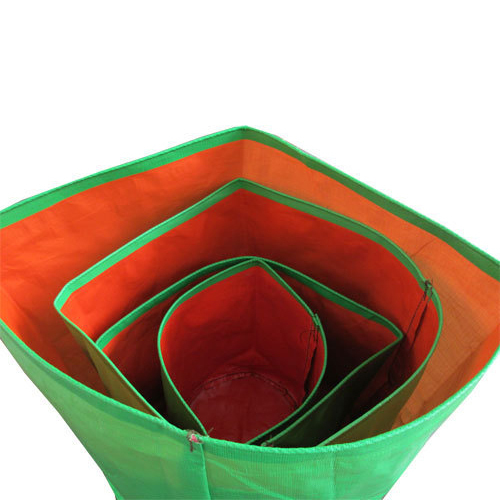 It is specifically designed to support plant growth and can either be a solid or a liquid. 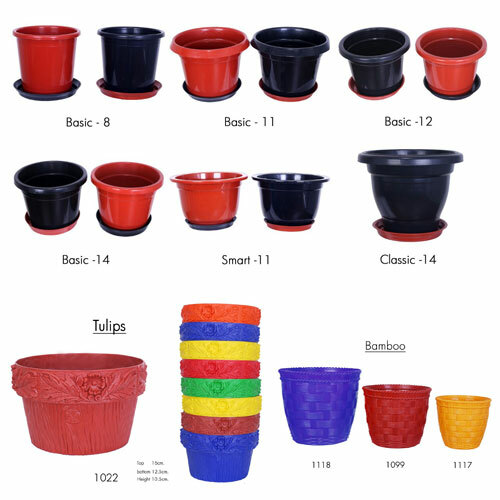 Different components are blended to create an professional growing media. Growing media can also called as substrate. 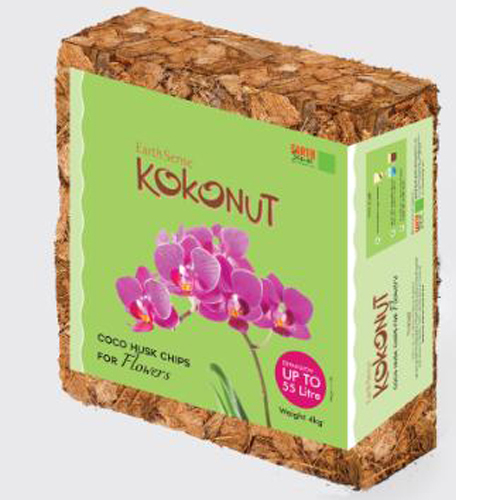 Coconut peat,is a natural pith extracted from the husk of coconut. 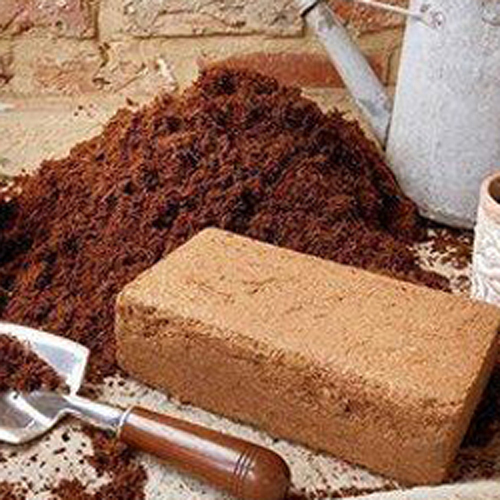 Coir fibre pith or coir peat dust can hold large quantities of water, just like a sponge. 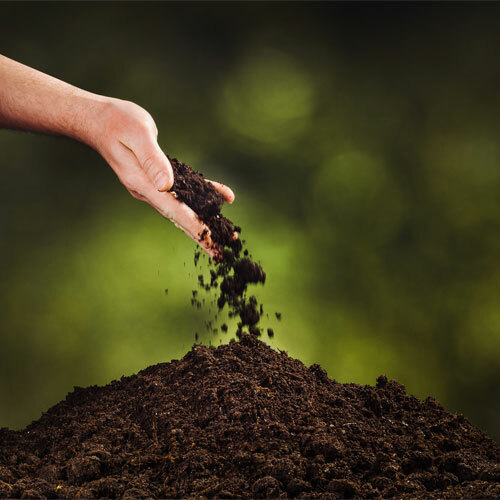 Coco peat is used as a soil conditioner. It is a mix of dust, fine, coarse and fibrous material that binds the coconut fibre in the husk, coir pith is used in organic growing applications. 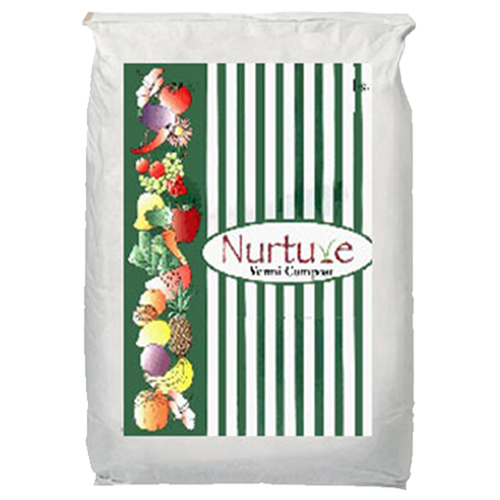 It is an excellent growing media and is being extensively used as a soil-less medium for agri-horticultural purposes. 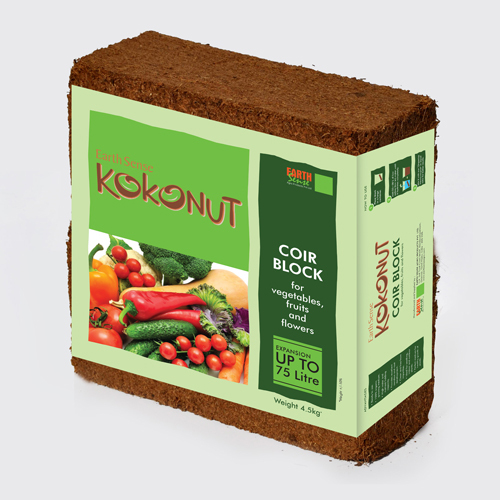 With its moisture retention qualities, coir pith is ideal for growing vegetables, seedlings, flowerings plants like anthuriums and orchids. 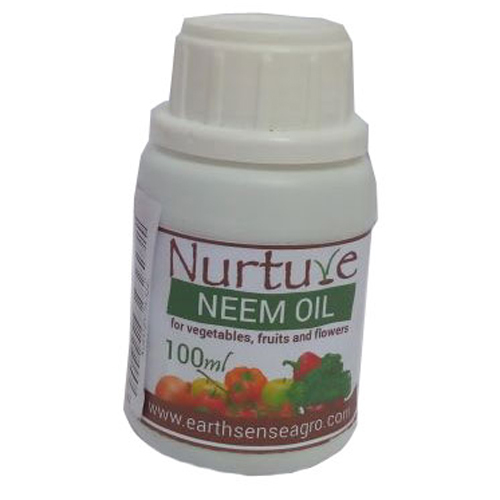 It gives adequate aeration to the plants and helps in tremdous growth. 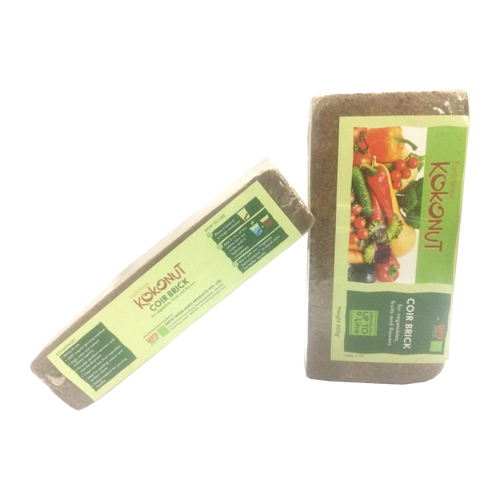 It can be mixed with compost, the coir pith gets decomposed and become an organic manure within 6months. Its The Solar Nursery You Can See. 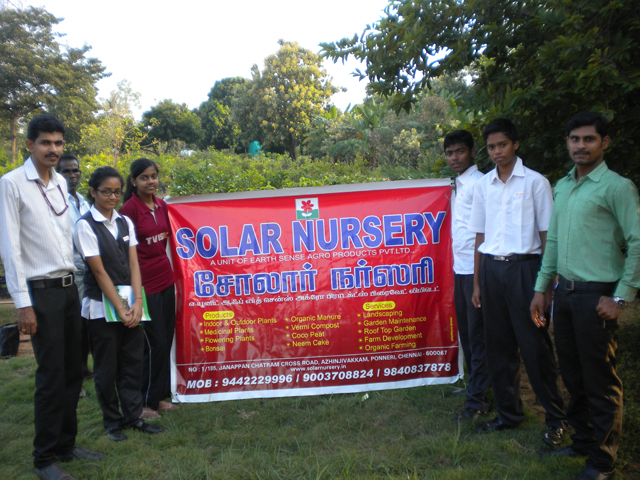 A Day With Solar Nursery. Solar Nursery For Your Life.